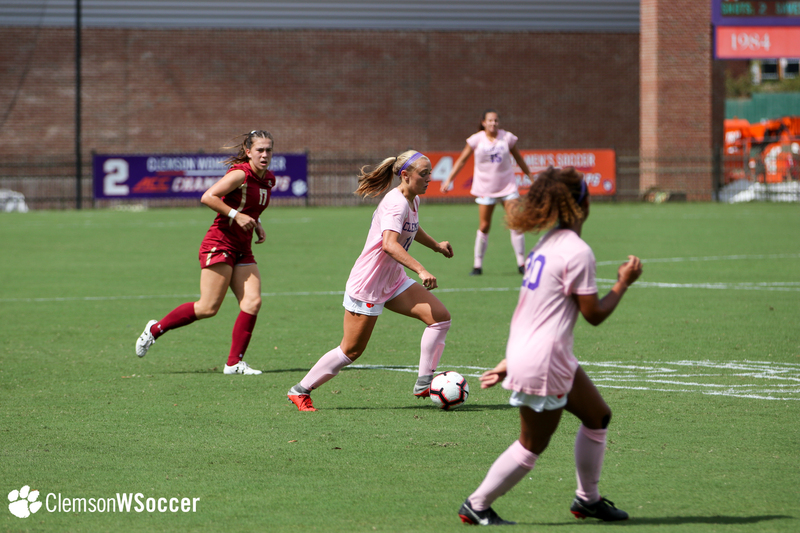 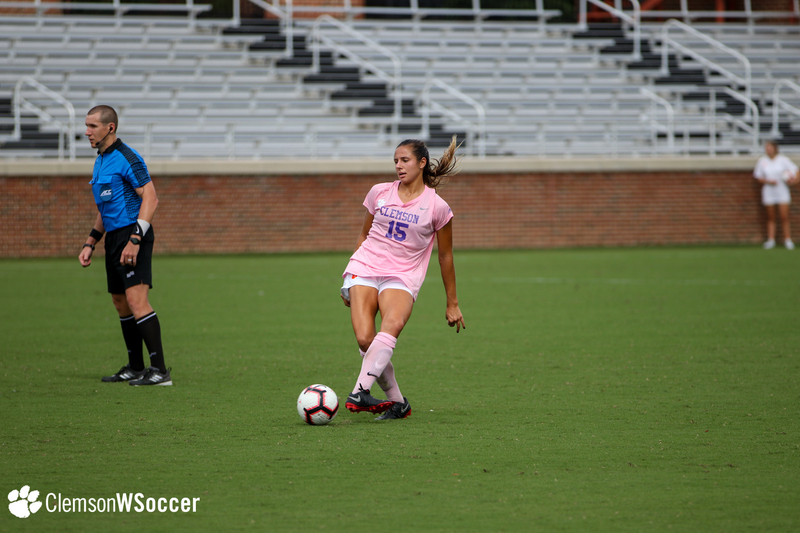 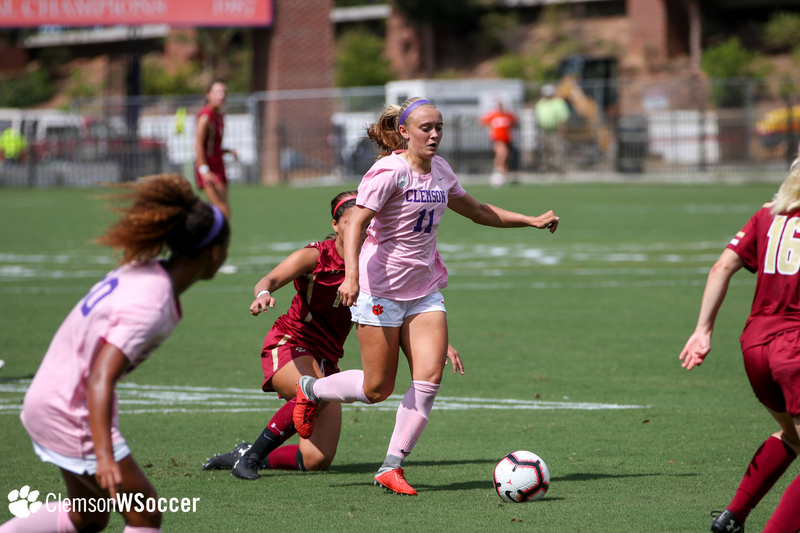 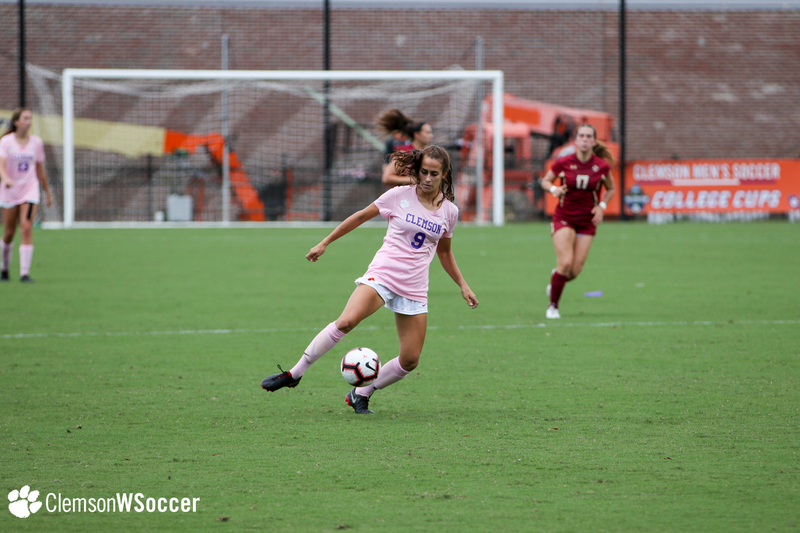 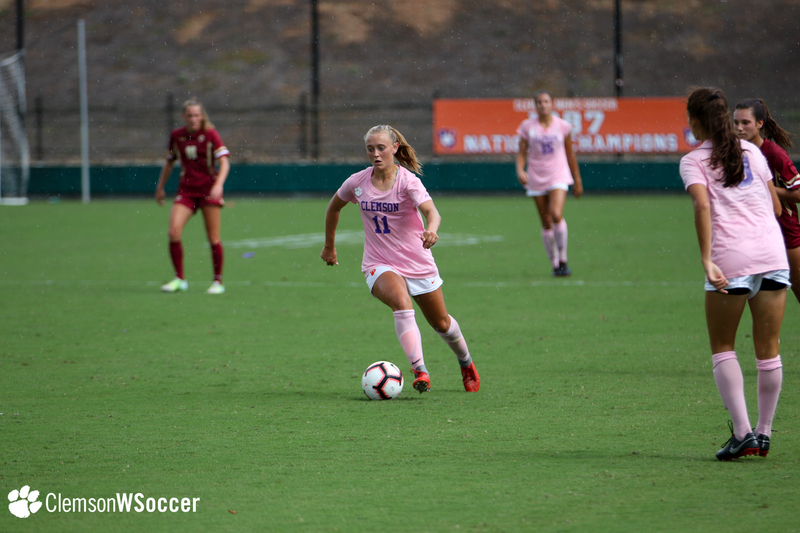 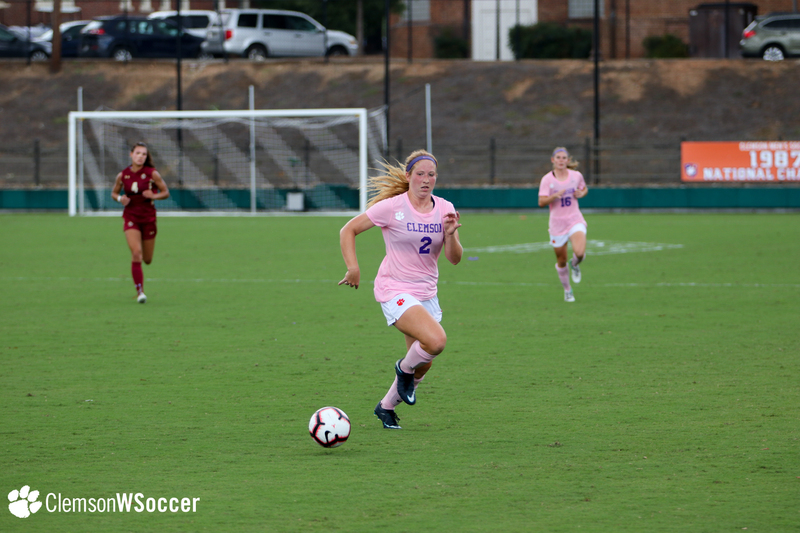 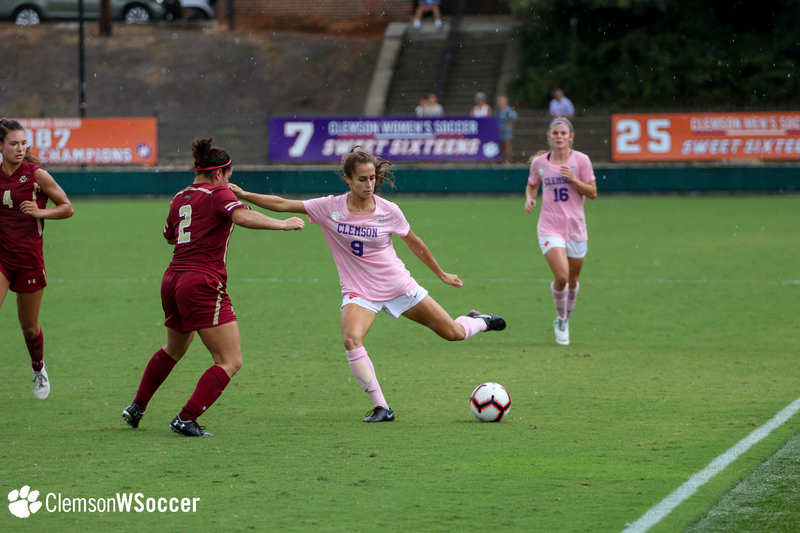 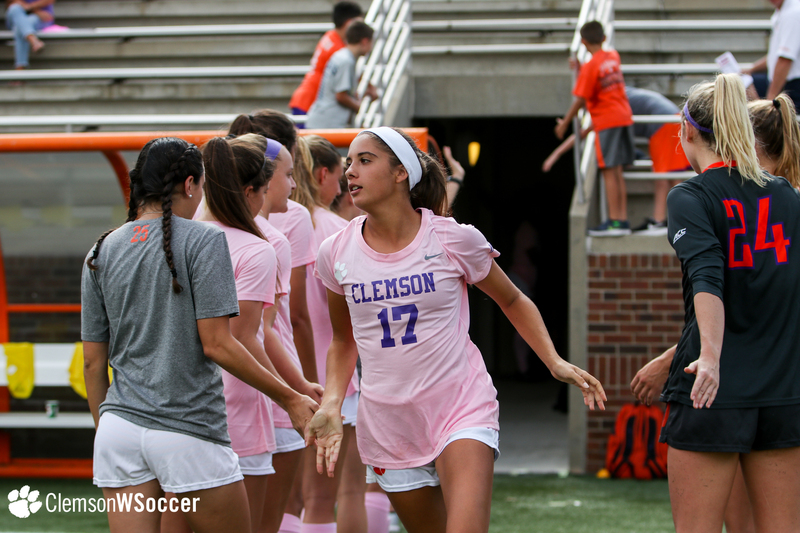 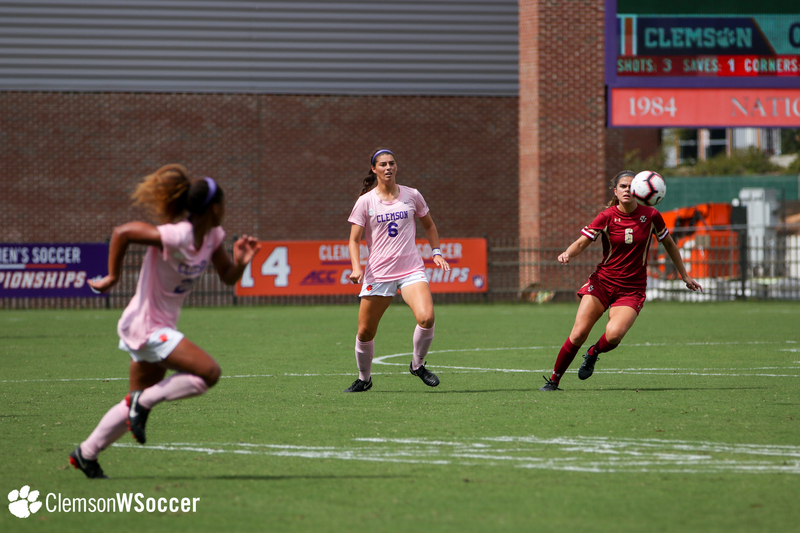 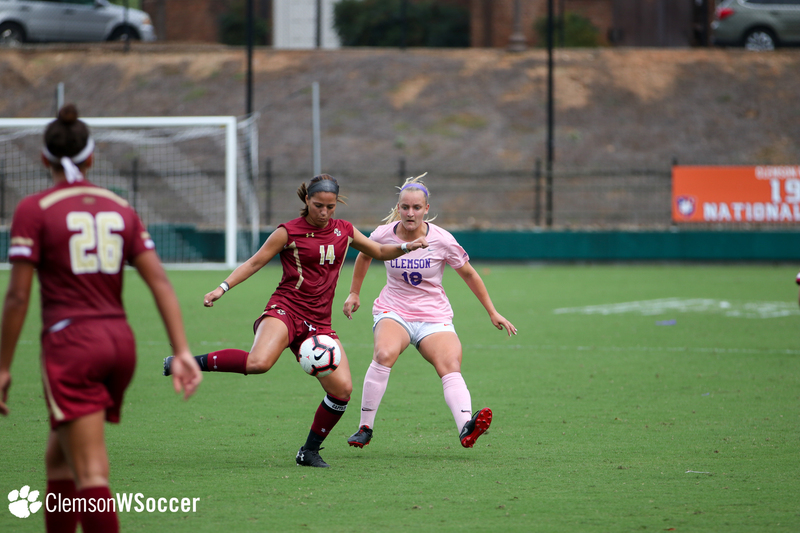 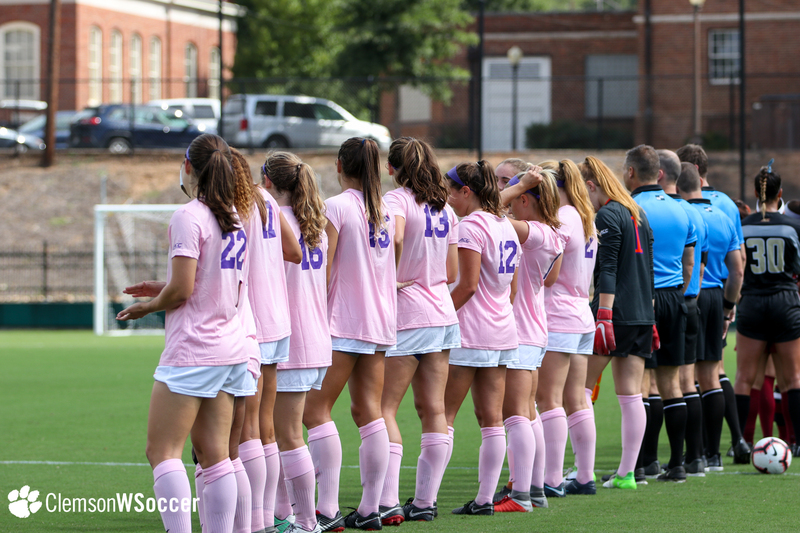 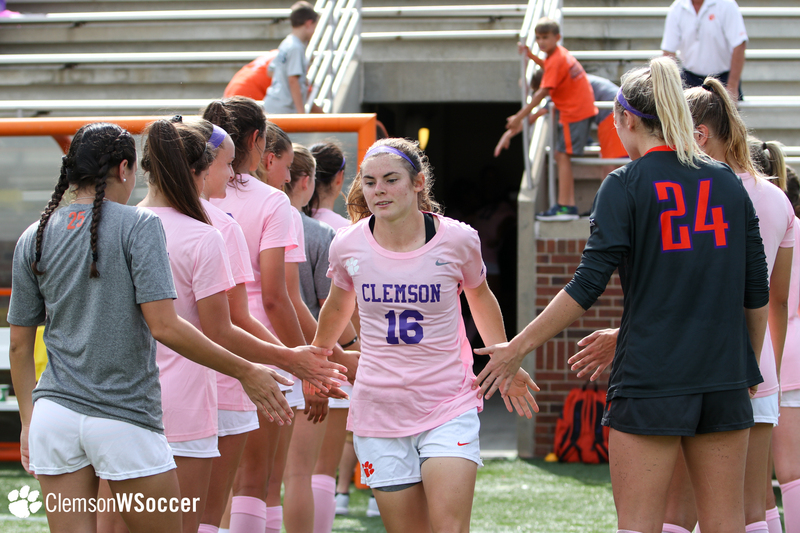 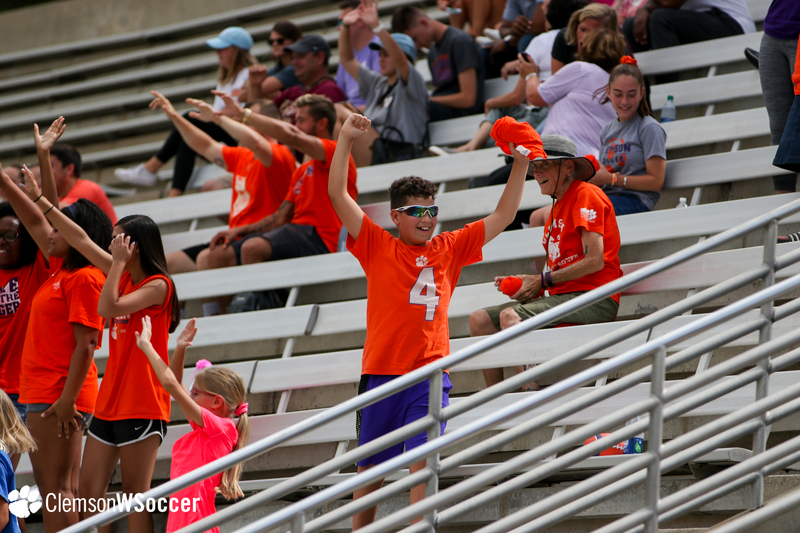 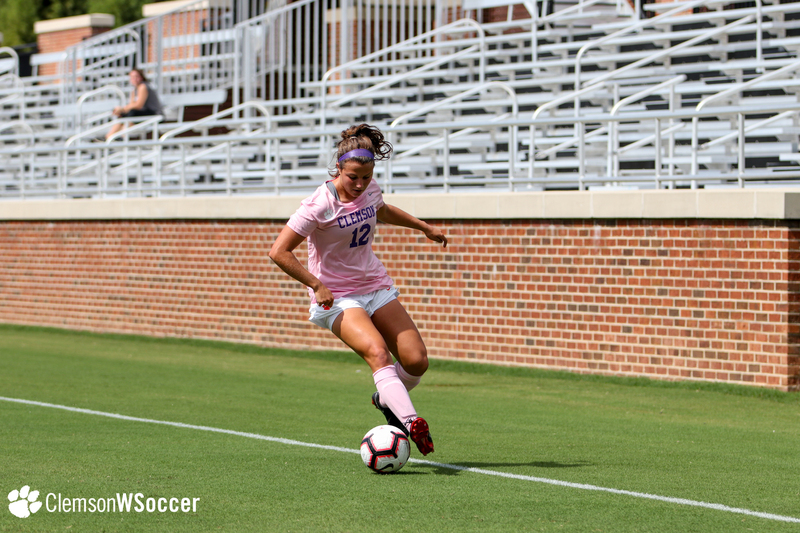 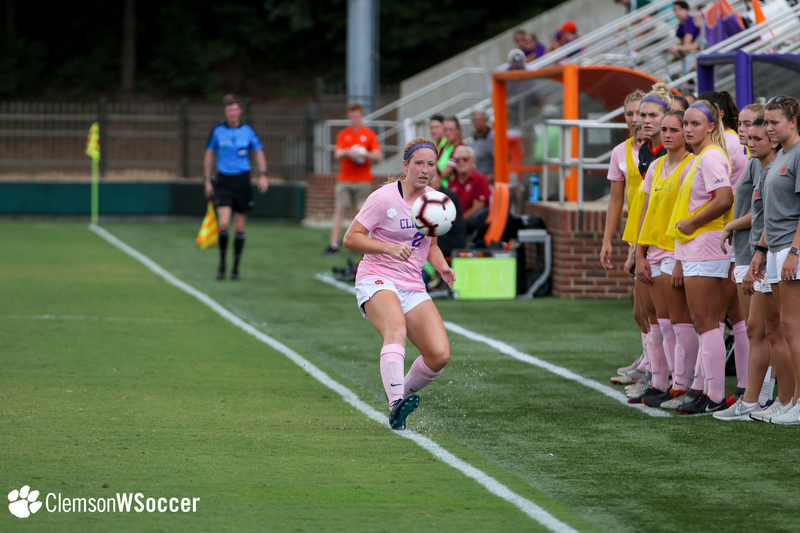 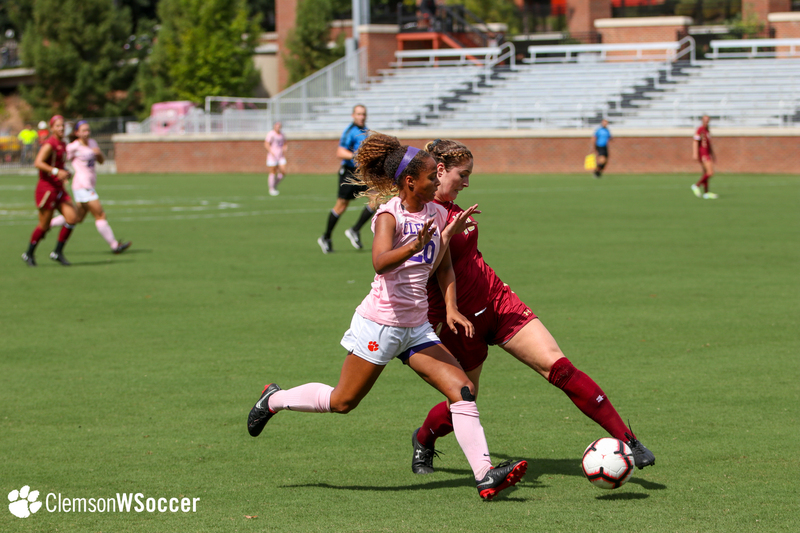 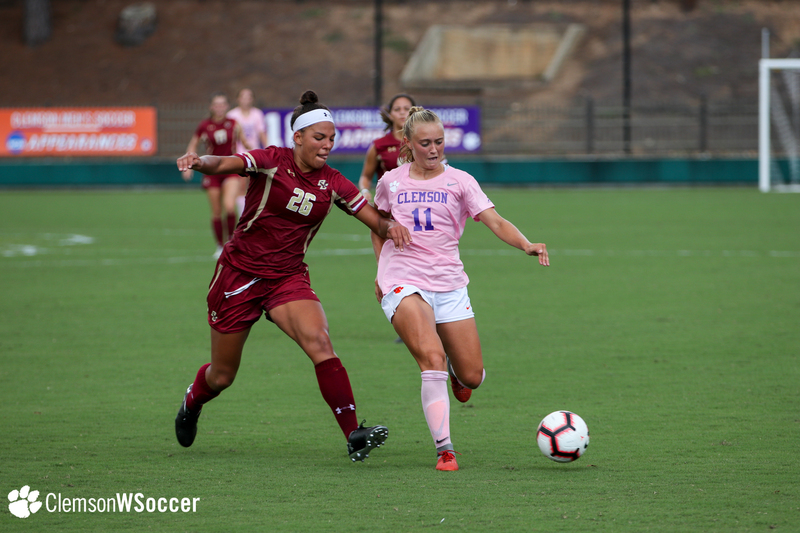 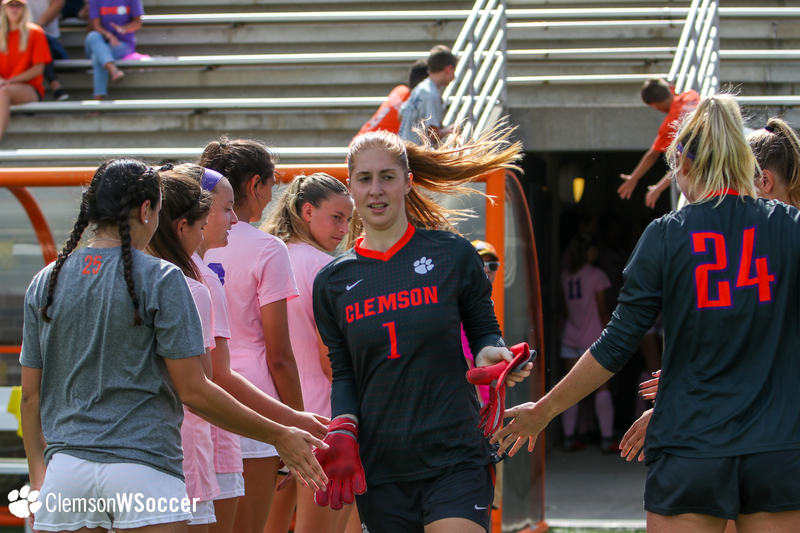 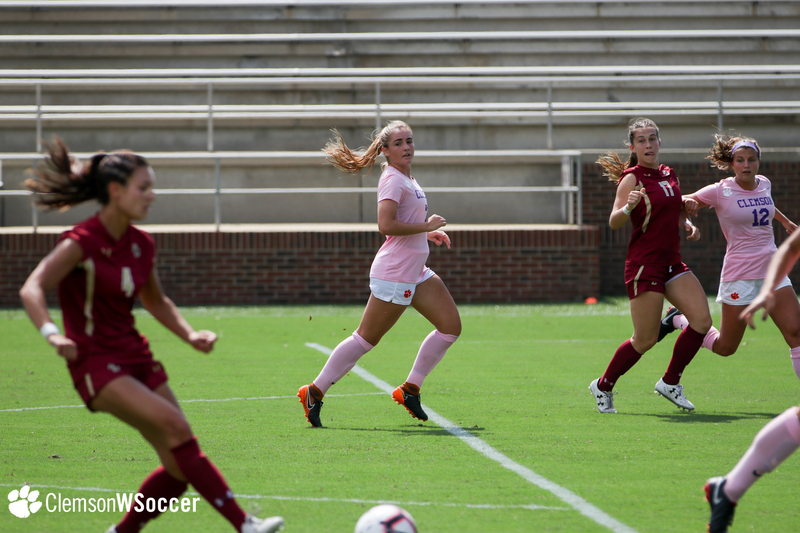 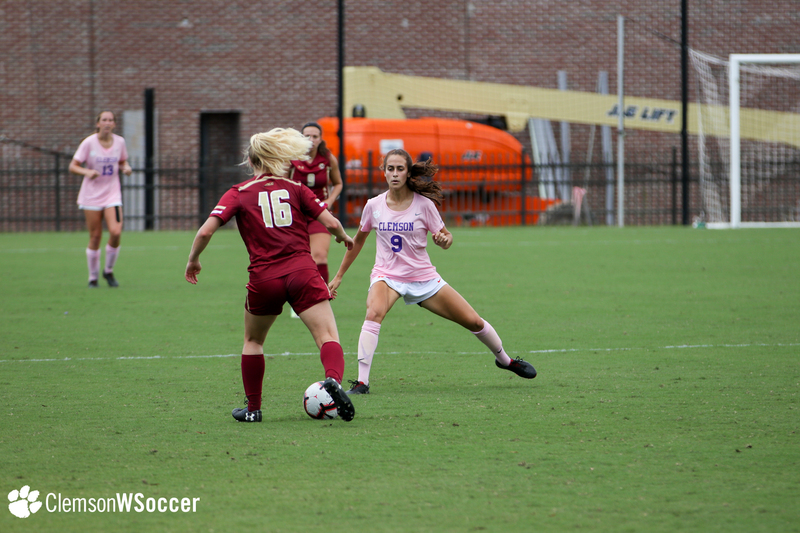 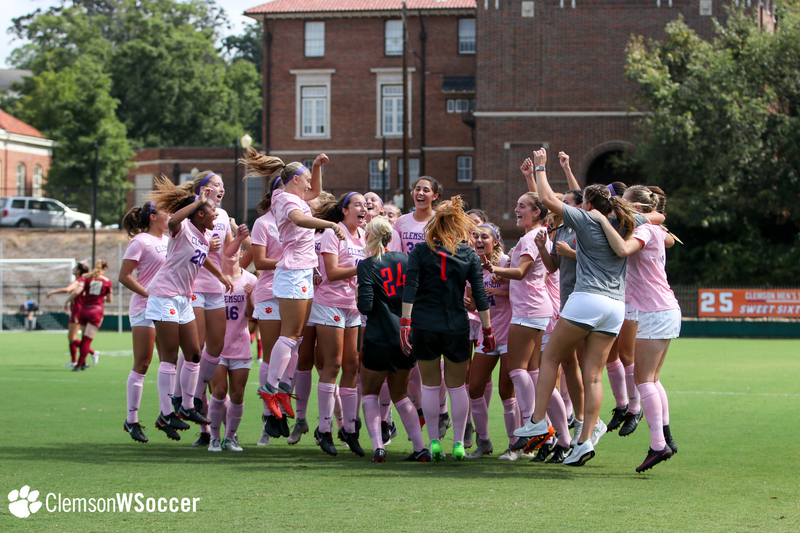 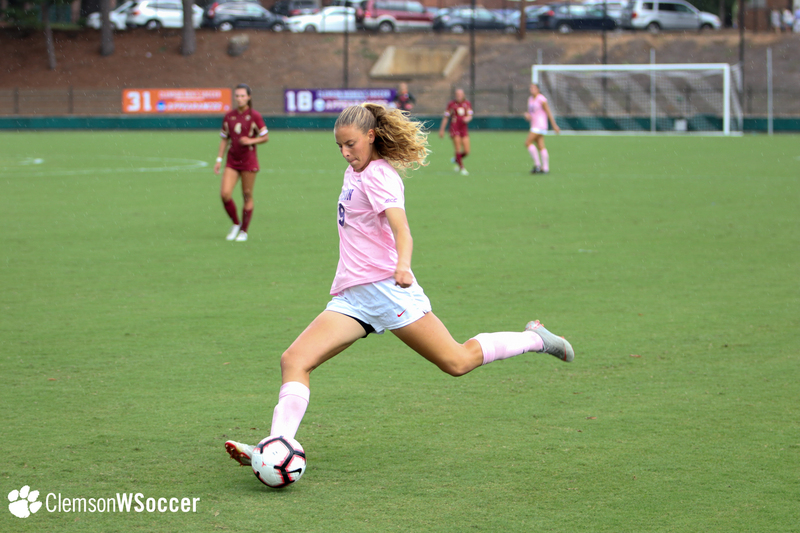 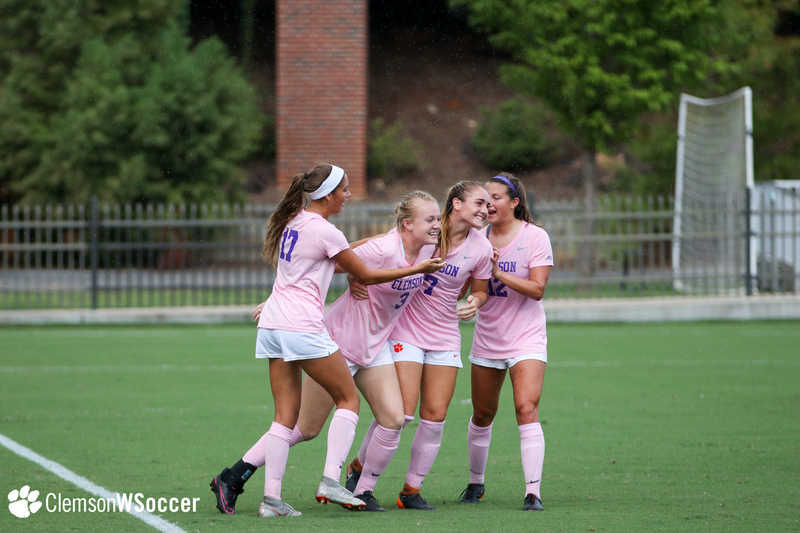 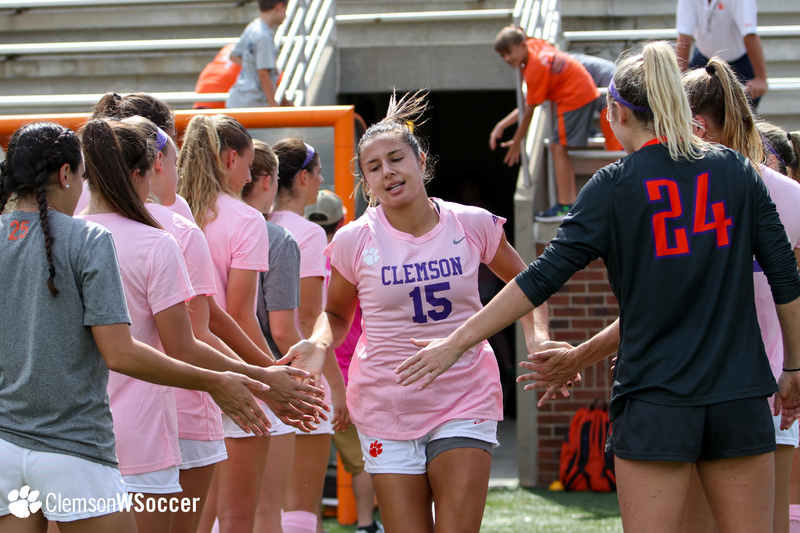 CLEMSON, S.C. – In a match that was controlled by Clemson in terms of possession and scoring chances, 11th-ranked Boston College came out on top, 2-1, on Sunday afternoon at Historic Riggs Field. 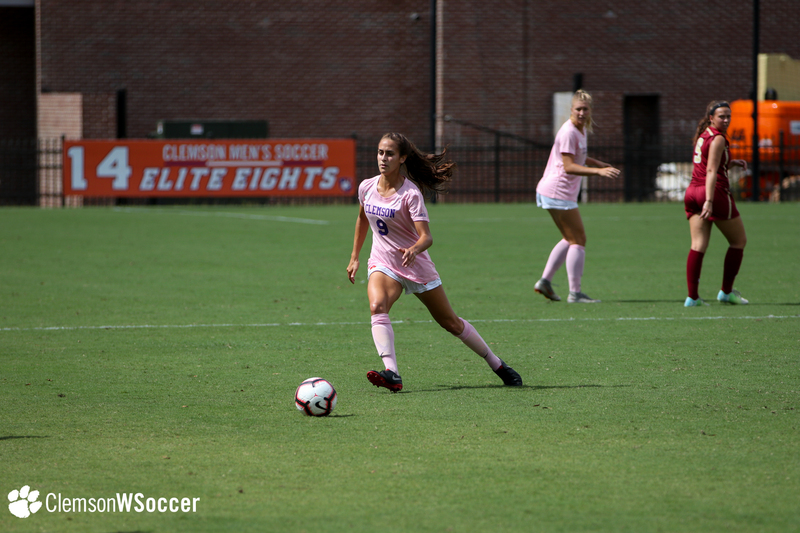 With the loss, the Tigers, who were receiving votes in last week’s United Soccer Coaches poll, dropped to 7-5 overall and 2-2 in ACC play, while the Eagles improved to 11-1 overall and 3-1 in the conference. 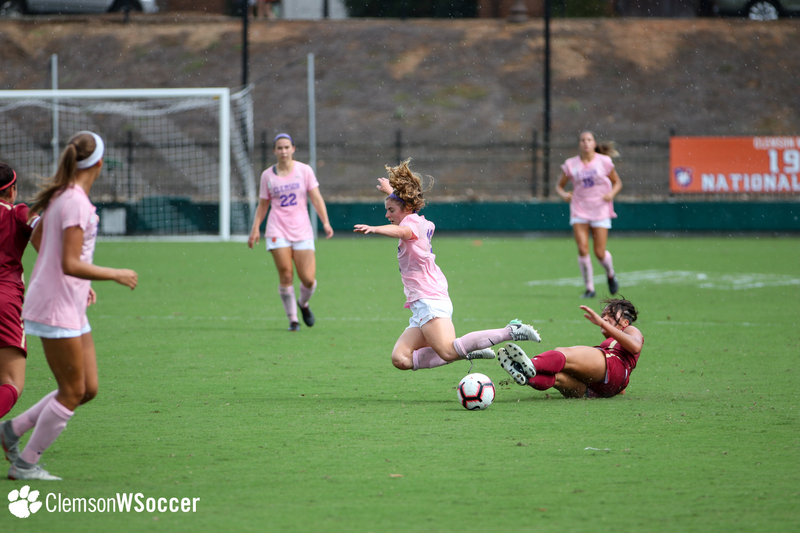 With the match tied at 1-1, after receiving a pass from Sam Coffey, the Eagles’ Olivia Vaughn found herself in the middle of the field in a one-on-one situation with a Tiger defender. 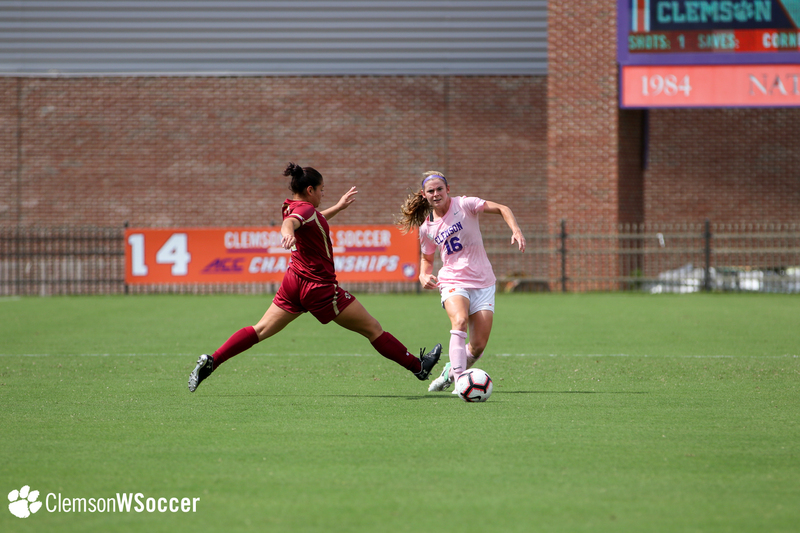 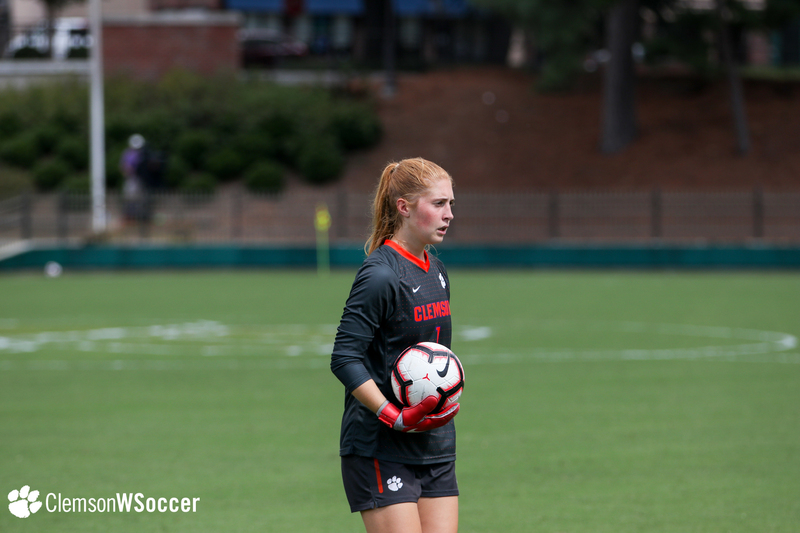 Vaughn, who scored both Boston College goals on the day, used her momentum to pass the defender and, after a scramble for the loose ball with Clemson keeper Sandy MacIver, found the net from 10 yards out in the 83rd minute of the match. 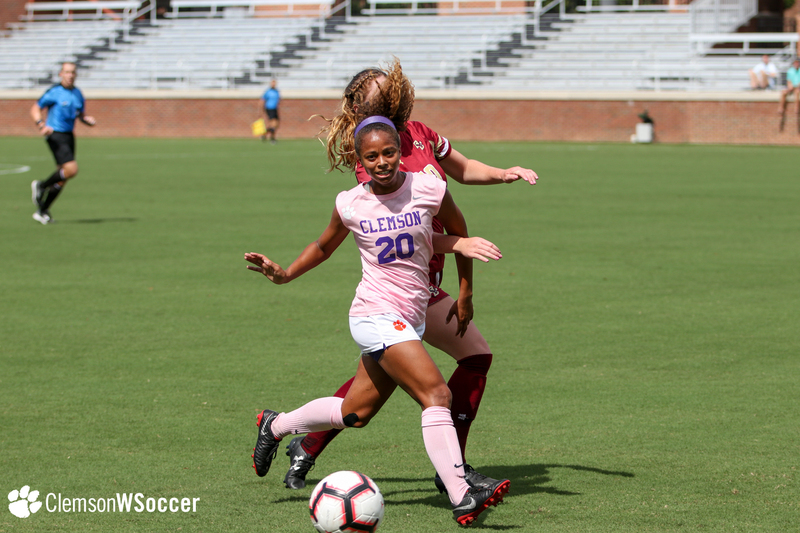 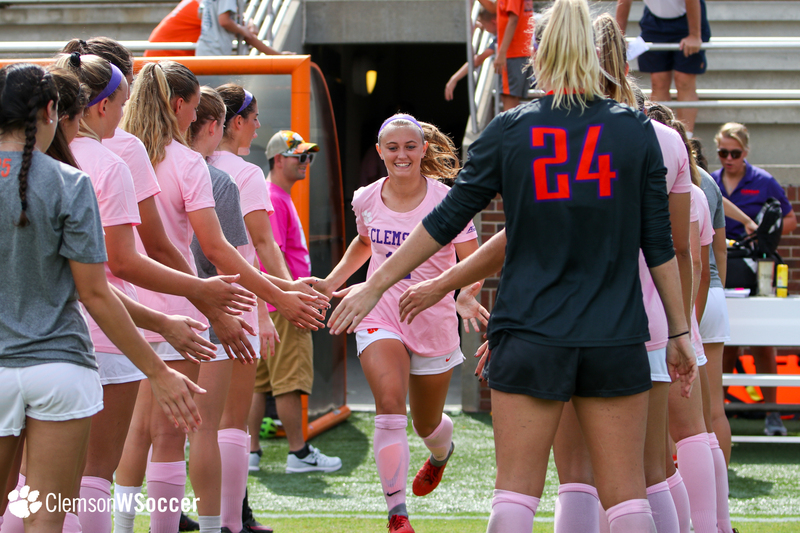 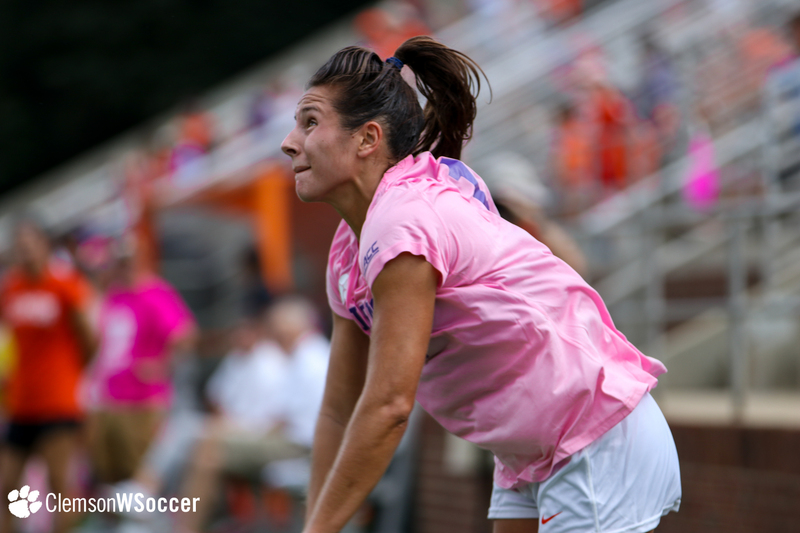 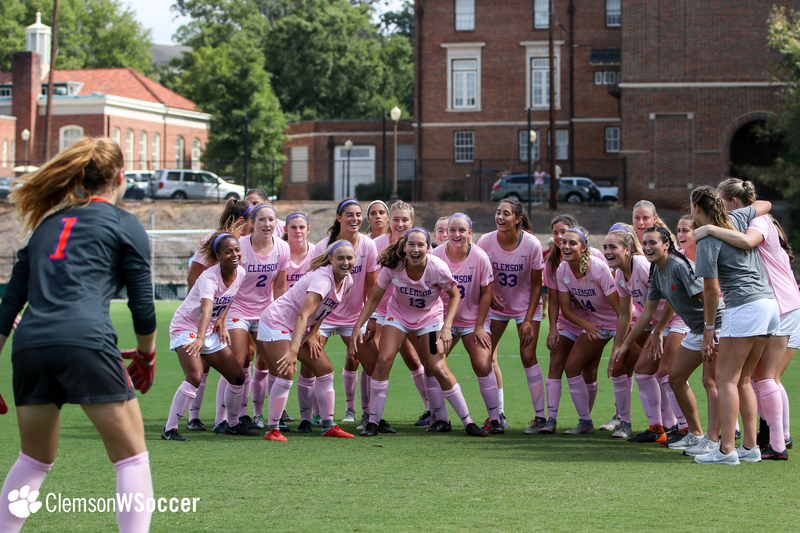 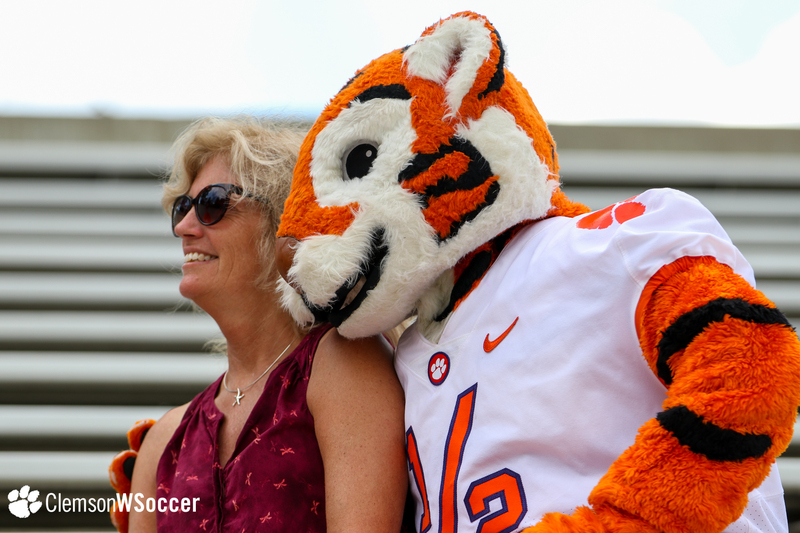 Clemson had a 13-8 advantage in shots and an 8-3 advantage in corner kicks over the Eagles. 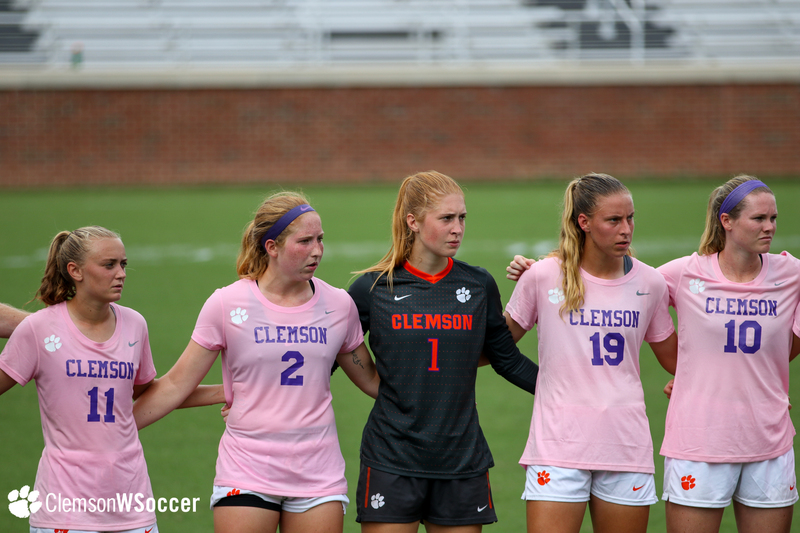 On the season, the Tigers are averaging 5.75 corner kicks per match, while they are holding their opponents to just 3.08 per match. 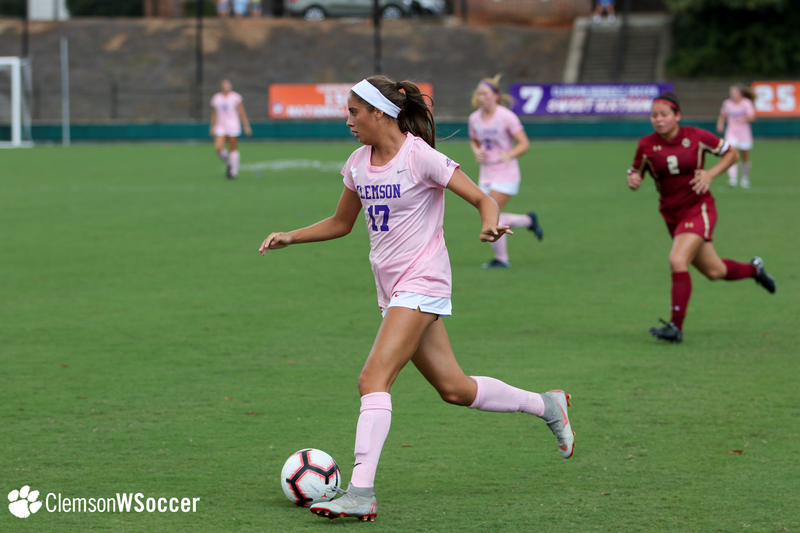 Junior Mac Smith netted her first goal of the season in the 70th minute, on a beautiful cross from the left by freshman Renee Guion. 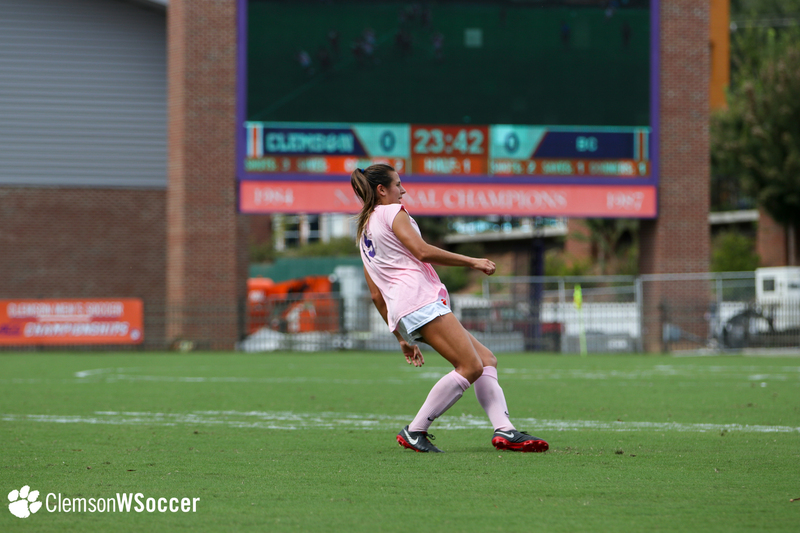 The cross was placed perfectly on the far side of the goal, where Smith was able to head the ball in to the right side of the net from two yards. 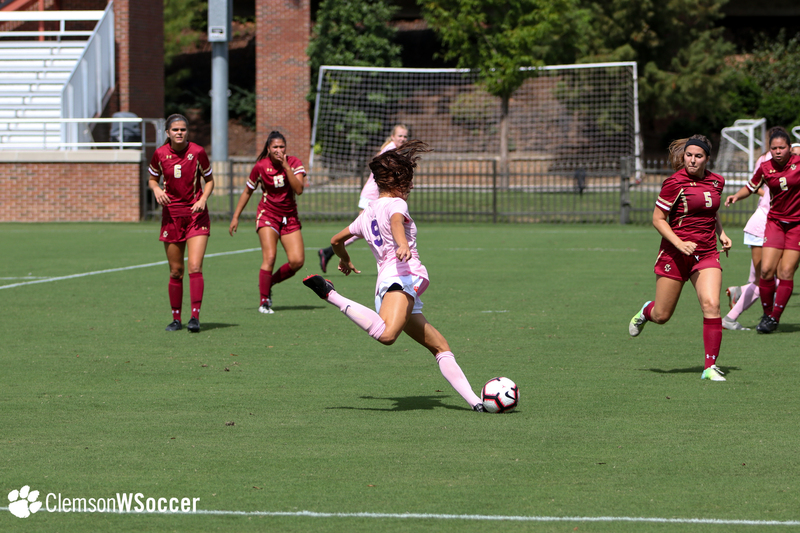 Freshman Sydney Dawson also earned an assist on the play. 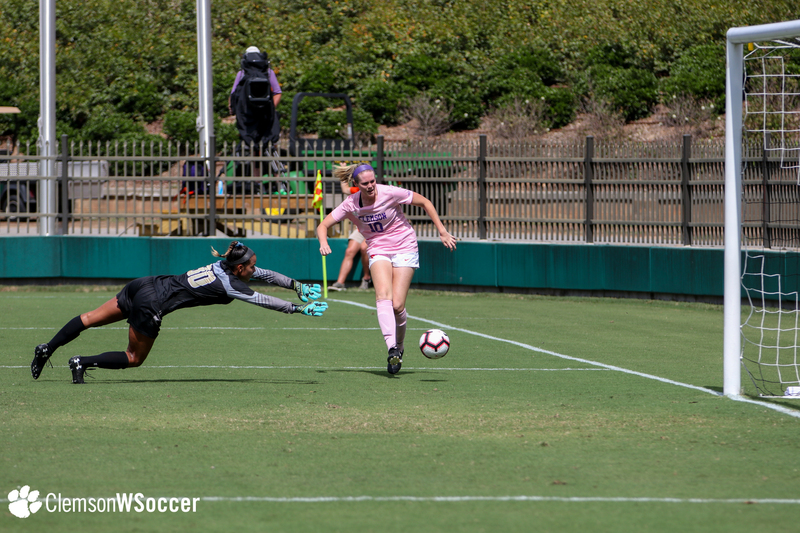 MacIver picked up four saves in the match, while Boston College keeper Alexis Bryant posted three. 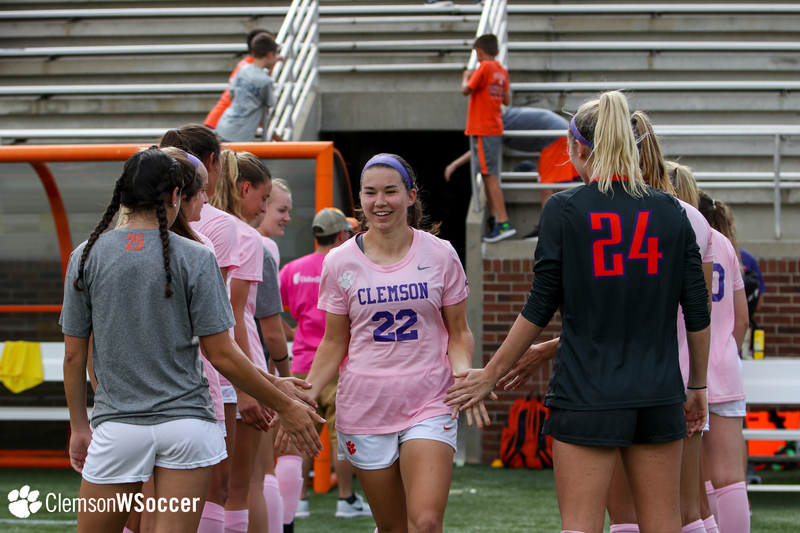 Sunday’s match concluded a streak of six consecutive home matches for the Tigers, who now play five of their next six contests on the road. 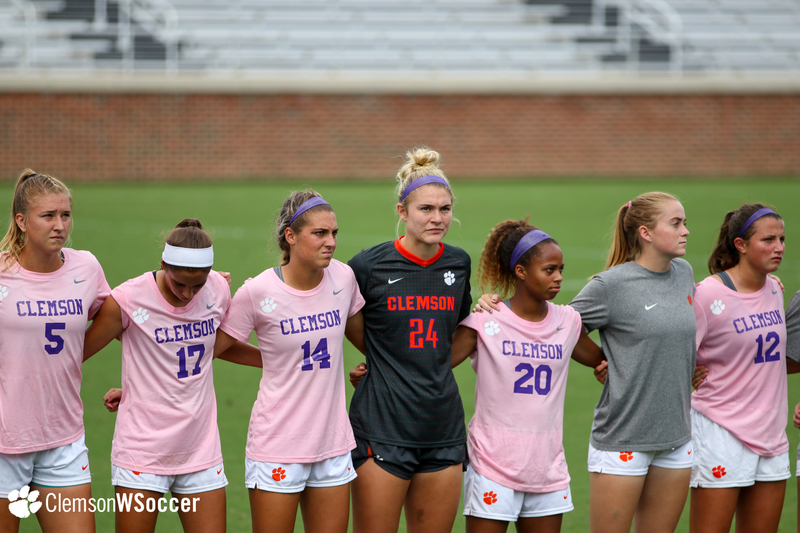 When Clemson faces No. 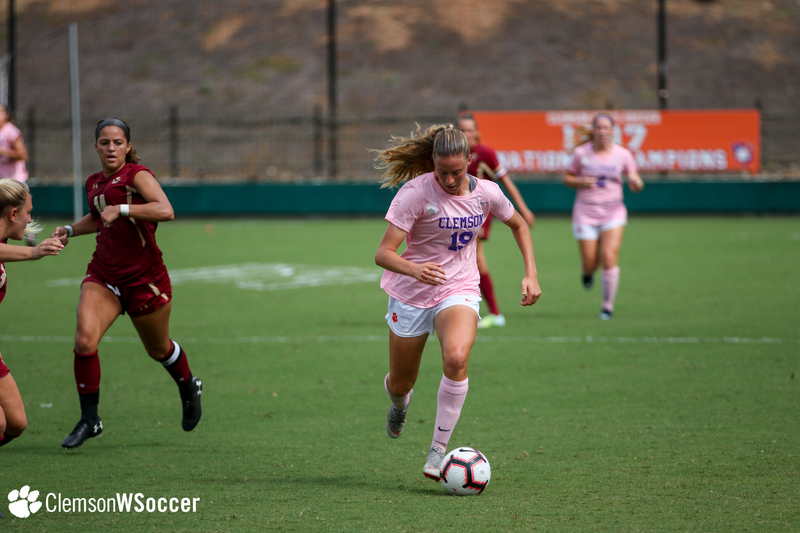 10 Florida State on Thursday, it will be the Tigers’ fourth consecutive match against an opponent ranked in the top-11 nationally, as they previously faced No. 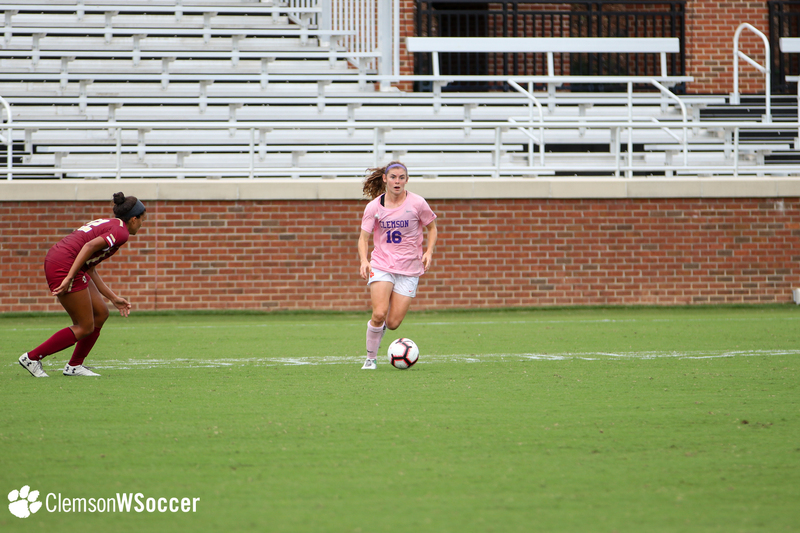 4 Virginia (a 1-0 double overtime win on Sept. 20), No. 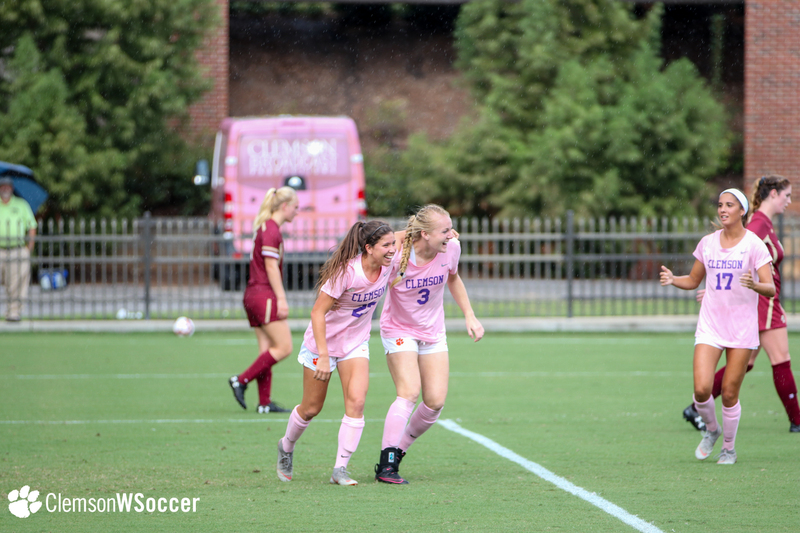 5 North Carolina (a 1-0 loss on Sept. 23) and the No. 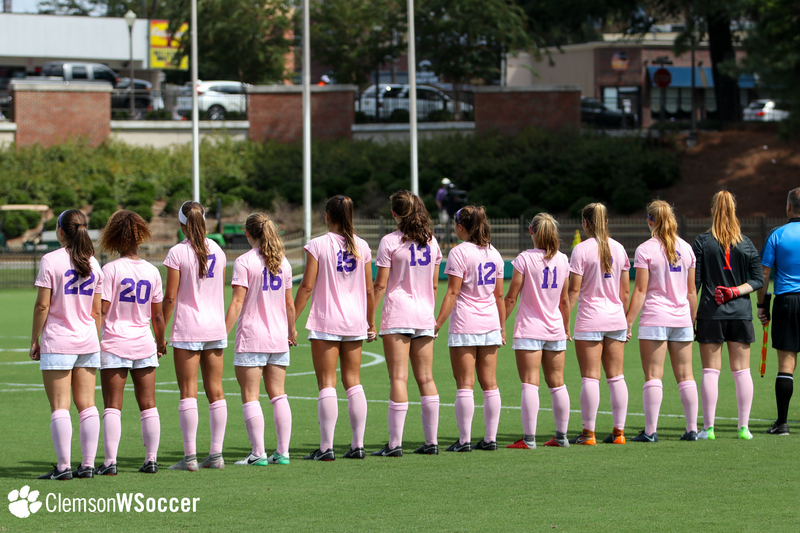 11 Eagles today. 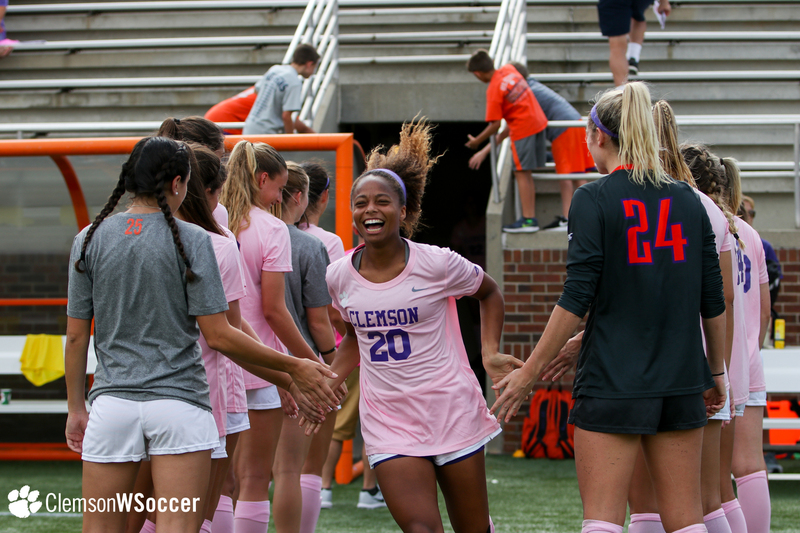 The Tigers travel to Tallahassee, Fla. to face 10th-ranked Florida State on Thursday, Oct. 4. 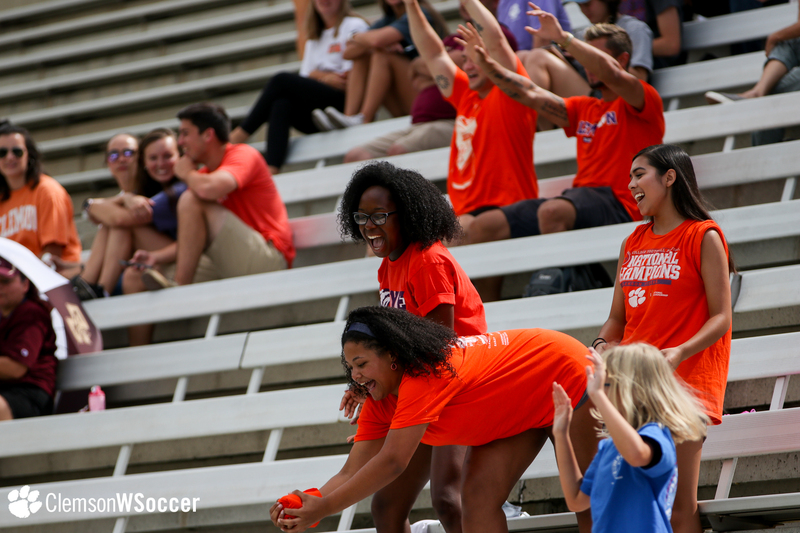 The match kicks off at 7 p.m. at the Seminole Soccer Complex.